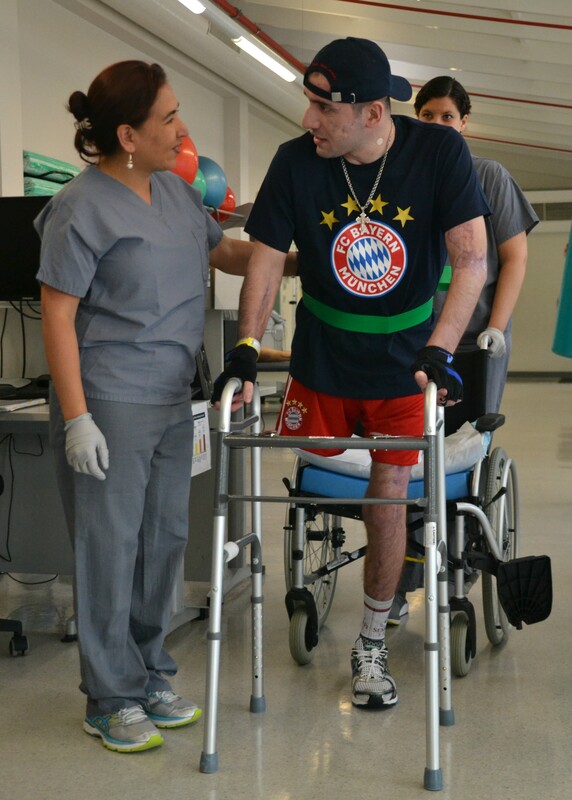 The Landstuhl Regional Medical Center team witnessed what some would call miracles this summer as a severely wounded patient cheated death at every turn and did what no one could have imagined. One year later, he continues to amaze LRMC medical staff. Iveri Buadze, a Senior Lieutenant in the Republic of Georgia armed forces, was leading a team of Georgian soldiers with his Marine advisors on Sept. 6, 2017 as they visually inspected vehicles prior to entering Bagram Air Field in Bagram, Afghanistan. A suicide bomber on a motorcycle in the line of vehicles detonated his explosives and Buadze sustained life-threatening injuries. 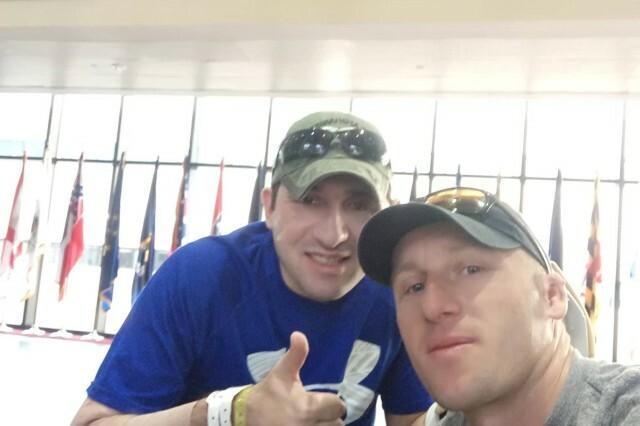 After multiple surgeries in Bagram, Buadze was sent to the U.S. Army medical center in Germany four days later, along with the two fellow Georgian soldiers and two U.S. Marines who were also wounded in the blast. 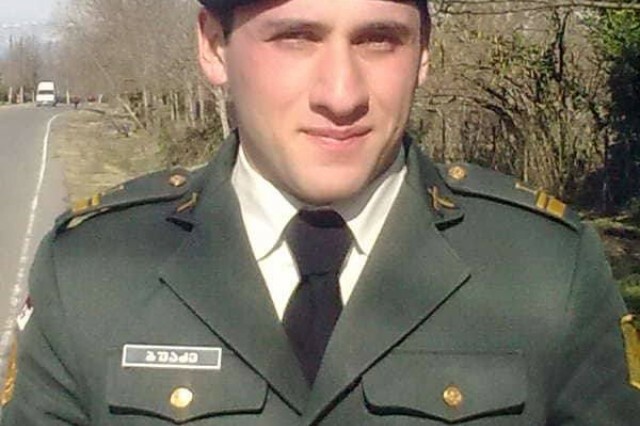 According to Buadze's neurosurgeon at LRMC, Army Maj. George Rymarczuk, Buadze arrived with multiple major injuries, including significant damage to his right leg and arm and penetrating trauma to his neck, chest and abdomen. The force of the explosion was so strong that surgeons in Bagram had to remove a portion of his skull to relieve pressure from swelling and bleeding. Buadze later lost his right eye and right leg from below the knee. "He had some of the more severe injuries I've seen in quite a while," said Rymarczuk. "I did not think he was going to survive or, if he did, I didn't expect him to have any semblance of a good quality of life." This was just the first of many medical predictions Buadze proved wrong. While he remained in a medical coma for two months, his body's natural healing systems got to work and the LRMC medical team remained committed to Buadze's recovery. Despite the coma, Buadze's medical care would not be easy as he also had head trauma, a brain injury, multiple broken bones, infection in his wounds, liver failure, amputation, extreme blood loss and more. Even as the team fought for Buadze's survival, they also prepared for the worst by discussing the most likely outcomes with the Georgian medical liaison and Buadze's family in Georgia over phone calls and video chats. Buadze's brother came to LRMC as quickly as he could. When he arrived, Amiran Buadze, an artillery platoon sergeant in the Georgian armed forces, stood at the foot of his brother's bed and said a special prayer. Through an interpreter, Amiran Buadze shared that he was praying with his brother on Sept. 21, the day the Georgian Orthodox Church celebrates the birth of the Virgin Mary. "I asked Holy Maria for Iveri to get better," said Amiran Buadze. While Amiran was praying at the foot of the bed, he noticed that his brother opened and closed his eye and moved his mouth slightly. Army Capt. Hillary Battles, an intensive care registered nurse, also remembers the days when things started to turn around for Buadze. "After Amiran's visit, we started hearing groans and seeing muscle twitches," said Battles. "The doctors initially thought it was just reflexes. Then his remaining eye started moving as we walked around the room, as if he could see us. In no time, he started to really respond to us, nodding his head and eventually he even talking, saying yes or no when we asked him questions." Buadze surprised everyone again when he started speaking not only his native language, but also English and Russian, languages he had previously learned. "I was very sick. I could do almost nothing for two months. I almost died," Buadze said in slow, precise English. "But when I first moved my right hand and leg, the nurses were excited," he remembered. "They could not believe this!" Once the intensive care nursing team noticed Buadze moving, they encouraged more aggressive physical and occupational therapy and the clinic teams jumped on board immediately. When Buadze had been in a coma, physical therapists went to his bedside to perform passive range of motion exercises to keep his body limber and prevent secondary complications like bedsores. Once they learned that Buadze was beginning to move, they changed tactics to help him continue to progress. "At LRMC, we really aren't equipped here for long term care like that," said Petra Wine, an intensive care registered nurse. Strategically located near Ramstein, Germany, LRMC is the largest American medical facility outside the United States and part of the hospital's mission is to receive wounded, injured and ill U.S. service members, government employees and contractors serving in Europe, Africa and the Middle East, as well as patients from NATO Allied nations and partner countries like Georgia. With a 99 percent survival rate, the LRMC team has successfully treated and returned more than 15,000 troops back to forward combat theaters. The primary role of critical combat care at LRMC is to either treat and remedy the patient's medical concerns and return them to their units, or stabilize and transfer them to the United States for further care. Most patients only stay at LRMC for two or three days; the long-term rehabilitation that Buadze required is not something that LRMC typically provides. "Our physical and occupational therapy staff have been so innovative," said Wine. 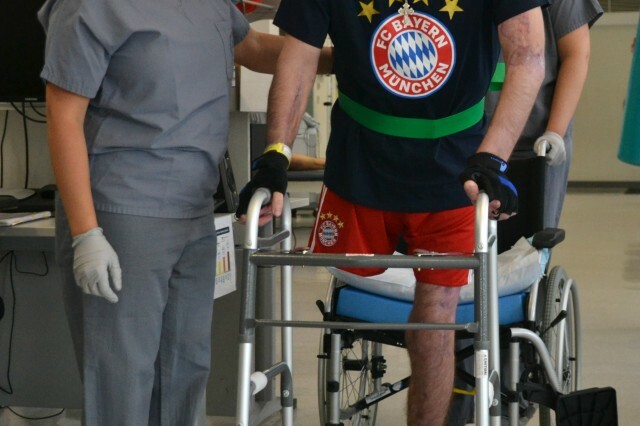 "PT has been adapting equipment and inventing exercises to help [Buadze] progress. 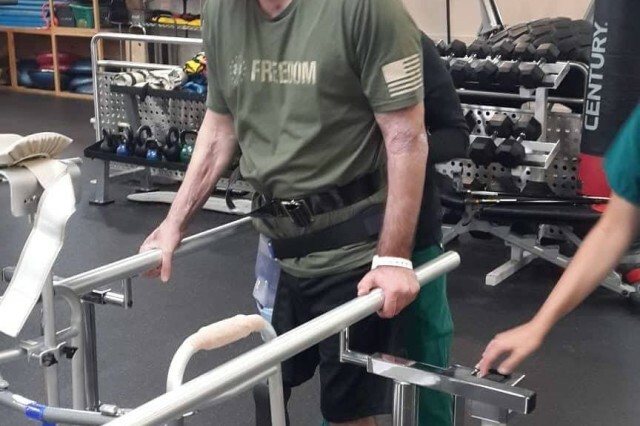 OT created hand grips for him, adapted eating utensils and they have been manually making things that a place set up for long-term rehab, like Walter Reed National Military Medical Center, would normally have on hand." Maria Duluc, a physical therapy assistant at LRMC, said she has never had a patient with such a strong drive or so few complaints about his pain, although she knew he must have felt it. "He would say to me, 'You are my commander, whatever you tell me to do, I'm ready,'" said Duluc. Each time she asked Buadze if he wanted to do more exercises, he would typically grin and reply, "Why not?" Buadze recalled the emotional roller coaster as he began to fully understand the extent of his injuries. "[The big] surprise was my leg. I didn't know I had lost my leg," said Buadze. "When I started bike exercises and saw my leg, then I knew." Things turned around for Buadze when Air Force critical care technician Staff Sgt. Antwan Williams motivated and encouraged him with stories about innovative prosthetics other amputees use to regain quality of life. "I felt angry," said Buadze. "Now I feel good." 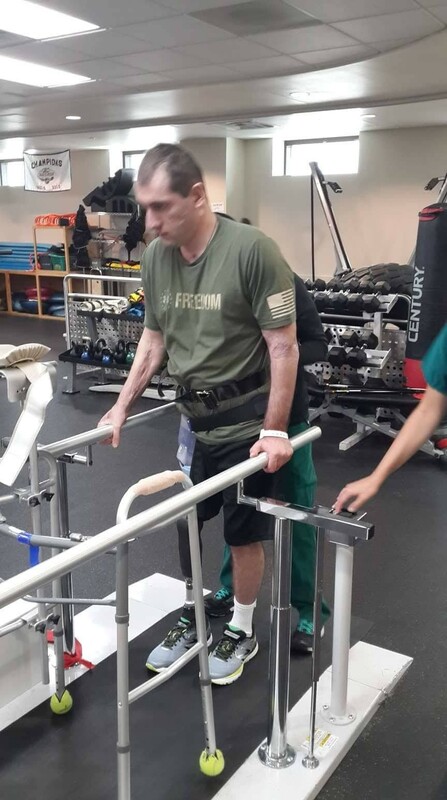 From passive exercises while Buadze was in a coma, to helping him regain the ability to sit upright in a wheelchair, the physical therapy team pushed him to keep progressing. "Between the PT team and [Buadze's] own strong will, now he is walking in less than six months," said Wine as she watched Buadze take slow and steady steps down the ICU hallway. "I didn't even think he would walk and look at him now!" said Duluc. "[LRMC has] very good therapy specialists. They helped me every day to work out in the gym and I keep progressing," said Buadze during a physical therapy session in April. "First light, then harder and harder. And you saw today, my walking. Easy breezy lemon squeezy! I learned that saying here." Buadze explained that he was pushing so hard to progress because he has big plans for his future; future challenges are seen as opportunities to get stronger. "I have to start walking on two legs, one that is a prosthetic leg. I have to be able to run. That will be the last step," said Buadze. 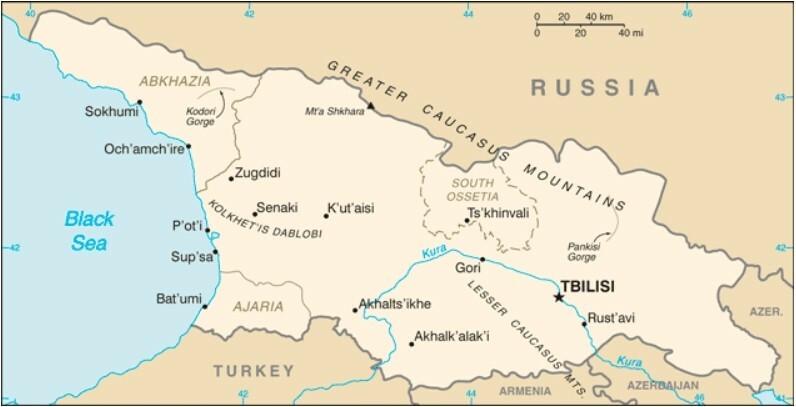 "I think that then I will be finished and I will go back to Georgia." Family is important to Buadze. He said is looking forward to getting back to his family and friends and plans one day to marry and have children. 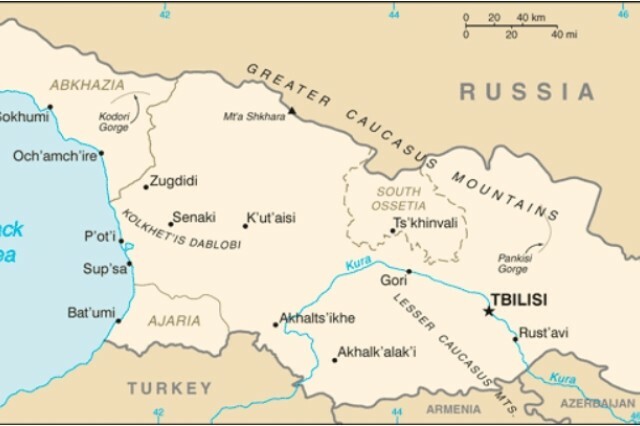 "I have two nieces and nephews in Georgia," said Buadze. "They know that when I get back home, I can walk with them." Buadze is well on his way. 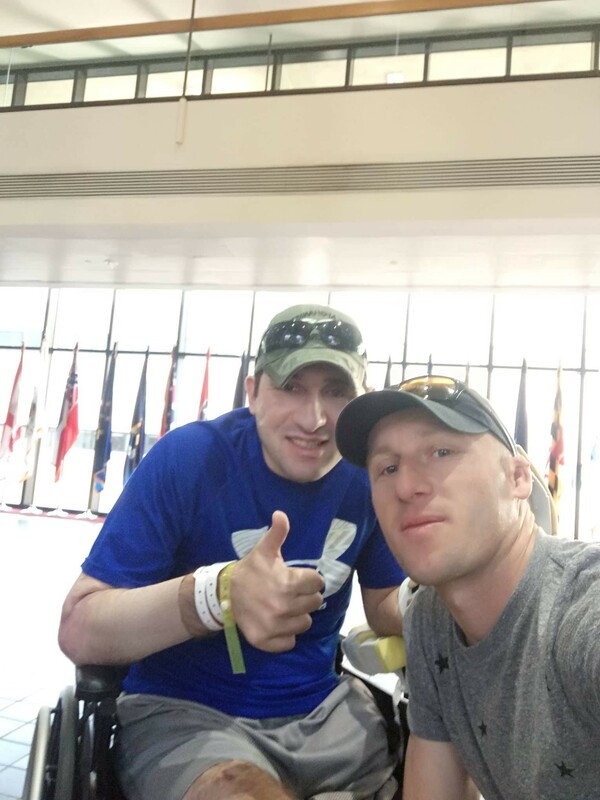 He transferred to Walter Reed National Military Medical Center and has already achieved the first of his many goals: to walk with a prosthetic leg. The team at WRNMMC will continue the progress that the LRMC team helped Buadze begin. "The whole team was vital to his recovery," said Battles, one of Buadze's intensive care nurses at LRMC. "Everyone came together to help take care of him." One ICU administrative assistant brought Buadze sausages that he liked and were easy for him to hold. Other people throughout the hospital heard he liked a certain type of candy bar and soon he had enough to share with visitors. Someone from another ward brought in a Georgian flag to decorate his room. "I remember the day our housekeeper started talking to him in Russian early on, and he responded," Battles recalled. "I really think she did a lot for his motivation; she was such a comfort to him. She's a phenomenal housekeeper and a phenomenal person." While the dedication of the LRMC staff was recognized by Buadze, many on his care team indicated that his presence and public display of fortitude and resiliency also touched their lives as well. Those who worked closely with him on a daily basis called him by his first name, and he did the same with them. "The central piece here is family," said Battles. "Here at LRMC, we all worked together to take care of [Buadze]. The American Marines and the Georgian military working side by side and learning each other's language are like a family too." LRMC's team of Army and Air Force personnel also includes a small cohort of Navy, Marines Corps and special operations service members who make up the liaison office that transitions, orients and tracks wounded, ill and injured troops from forward operations Because Buadze's unit was working alongside the U.S. Marines in Afghanistan, the Marines at LRMC embraced him as their own. "Soon after he woke up from the coma, he was able to recognize the uniform," said Sgt. Merrick Morin, a Marine liaison at LRMC. "When he saw us, he would smile and say, 'I was with the Marines.' I would happily fight alongside [Buadze] any day." 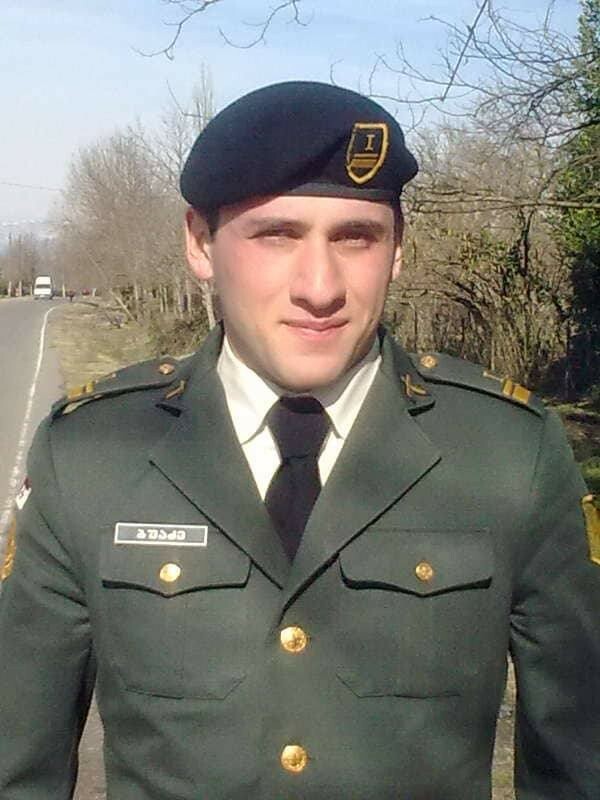 Many LRMC staff were thinking of Buadze this September on his Alive Day, a common phrase in the military that celebrates the anniversary of the day a service member cheated death on the battlefield. "The moon is the limit for him," Wine said before changing her mind. "No, nothing limits him. Every time I have a bad day I think of him. Overall, he was so positive. Now he can walk and even use his prosthetic leg." "Life is very strange. I want to say, never give up. Keep progressing and life is good. My bad health is not finished but I will continue to fight. I will show everyone that nothing is impossible," said Buadze.